Book Review: Ken Goldberg's "The Robot in the Garden"
In this Book Review, Cindy Ahuan summarizes Ken Goldberg's view on the relationships between technology and shared experiences of telepresence and cybernetic systems. "The word media is derived from the Latin for 'middle': Mediate experience, in contrast to immediate experience, inserts something in the middle, between source and viewer." These are the words by Ken Goldberg quoted from The Robot in the Garden, and they encapsulate the architecture of this engaging book. With insightful discourse, Goldberg explains how telematic participants are allowed to transform, rethink and disembody themselves through remote computer-mediated communications. Art installations and events explain how new communities evolve without the prelude of social classes, gender and ethnic backgrounds. The conditions of reality, being present in real time, conjure an expanded understanding of behaviors and explore philosophical spirituality. Epistemology of robotics on the World Wide Web is the focus of this book, along with the foundation of creating new media. Epistemology is the philosophical study of knowledge. Conceptual ideas and relationships are represented in The Robot in the Garden. Goldberg expresses the relationships between technology and shared experiences of telepresence and cybernetic systems. Goldberg quotes and references the theories of many scholars, theorists and technical experts. Contributions are included in the chapters of phenomenon of a distance; eden by wire; telepistemology; vicariousness and authenticity; information, nearness and farness; acting at a distance and knowing from afar; telerobotic knowledge; the speed of light and the virtualization of reality; the lie and the act; dialogical telepresence and net ecology; presence, absence and knowledge in telerobotic art; exposure, time, the aura, and telerobotics; the history of telepresence; feeling is believing; tele-embodiment and shattered presence; being real; telepistemology and mediation; and the postscript: the film and the new psychology. In the chapter on tele-embodiment and shattered presence, Goldberg discusses how new cultures are formed through the matrix of virtual environments and interactive architectures. Goldberg looks at examples of social machines in relationship to toys. Goldberg discusses Tickle Elmo, Actimates Barney and Furby. He sites how these toys promote social interaction between preschool children. The toys are designed to behave like preschool children and are engineered to respond to touch. "Without touching back, it reinforces a social bond. It is hard to argue that this is a false intimacy. " - Ken Goldberg. Aside from the commercial success and the social and educational values, many children are emotionally attached to these touch sensitive toys. Interesting to note, the word Robot was never included in the descriptions of the Barney or Furby. Ideas and evidence of people bonding with interactive agents are referenced in an installation at Siggraph '97 where people interacted with Toco the Toucan. This book takes a look at the fundamentals of human interaction. Goldberg notes that several writers talk about the conscious agreement of trust. "Trust is one of the most precious commodities on the Internet." - Ken Goldberg..
Further discussions on telepresence are focused on the science of haptics, touch. Goldberg addresses the question about "would we prefer to shake a real hand, but when we cannot, is there a 'low resolution' version'?" In 1993, Goldberg and Richard Wallace created the Datamitt. This was a virtual handshaking device. Goldberg discusses the engaging experiences people had while placing their hand inside the tube. The event of placing your hand inside the tube was coined, Dentata. Although this social contact was not at the level of a hug or a real hand shake, Goldberg explains that it had promising success in the area of reciprocity. If you scratch my back, I will scratch your back. Goldberg explains the differences between a telefiction experience and mediated perception. In the chapter on vicariousness and authenticity, examples of social network relationships include a person playing a video game. Goldberg describes this event as a telefictive experience. A player driving a car in game is in a virtual environment and having a telefictive experience. In contrast, a person driving a car in theory, connected electronically to a real car on a racecourse would have a mediated perception. It is in Goldberg's opinion, that only the video game player is in virtual environment. Donald Davidson, who wrote "A Coherence Theory of Truth and Knowledge" carefully points out the differences between the epistemic mediation and the casual mediation. Goldberg agrees that the telegarden is a casual mediation. This is a long and casual chain of networks talking to mediums who talk to other chains of intermediaries. Davidson said: "Since we can't swear intermediaries to truthfulness, we should allow no intermediaries between our beliefs and their objects in the world. Of course there are casual intermediaries. What we must guard against are epistemic intermediaries." Another example of multiple social network relationships is the Simon Penny's Traces artwork. The installation is set in three Cave locations, Tokyo, Bonn and Chicago. Traces allows people to interact with movements and volumes. People are exposed to a large virtual space where distributions of sound and movements of the floor take place. Each Cave contains web cameras and body maps of the visitors. The machines provide an experience to replace the real body. This is a contemporary view of overcoming distance. The social interaction takes place in real time and builds a stage for robots and people to communicate with each other through a transparent interface. One example of a text based social network relationship is Julia, the online robot. Julia is designed to visit multi-user dungeons, which are text-based, networking environments in which multiple players play simultaneously in distant locations. One player, named Lara, was unaware that she was talking to a bot. Lara attempted to ask Julia several questions in order to place her in a social category. After several attempts to have a conversation, Lara noticed that Julia could not answer where she went to school and that Julia responded with repeated exact answers. Aside from the perspective on classifying people, Clifford Geertz who wrote The Interpretation of Cultures in 1973, said: "The everyday world...is populated not by anybodies, faceless men without qualities, but by somebodies, concrete classes of determinate persons positively characterized and appropriately labeled." In order for Lara to know that Julia was a robot, Lara had to use the external appearances and actions to determine and classify the social categories. 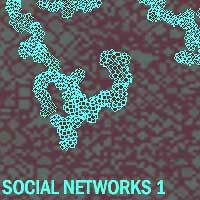 Social networks, deception and cyberspace are discussed further in a utopian view. In a text-only relationship, people's opinions are shaped by the words in the message. We can interpret intelligence, humanity and sometimes personality in the structure of the message. Text-only messages are a form of telepresence. The word telepresence is defined in five ways throughout the book. 1. Telepresence - The immersive technology that deals with goggles, helmets and 3D projections. 2. Telepresence - Brenda Laurel defines it as a "medium that allows you to take your body with you into some other environment.."
3. Telepresence - The ability to remotely manipulate physical reality in real time through its images. 4. Telepresence - The union of telematics and remote physical action. 5. Telepresence - Three areas of thought. The Robot in the Garden is a collective transcription of telerobotic research and documentation. Art Installations and theorist provide arguments which support the contemporary views of telerobotics and telepistemology. Goldberg states that history is an illusion, without the aid of film and video. The past is written in the present. Goldberg gives examples of problems of social networks and the moral values of telefictive experiences and mediated perception. Walter Benjamin stated that it is disturbing to note that some types of technology promote violence. In a mediated perception, users can be exposed to destructive purposes. Included in this book is the relationship of cyberspace with Cartesian ideas of the metaphysical separation between mind and body. Goldberg states, that when people enter a 3D world or cyberspace, only their mind enters. Their spirit becomes the avatar of the mind and the body becomes an abstract entity. One of the dangers sited is the success of building a realistic avatar. The telegarden in theory could present a deceptive environment. Goldberg talks about the "telescepticism" on the Internet. Fraudulent social communities could easily be created. Questions are raised, am I having a mediated perception or a casual mediation? This book illustrates critical points of reference regarding telerobotics; case studies in progress; theoretical beliefs; telerobotic scenarios; arguments and parallels of epistemology; questions and approaches to mediation; differences between using the Internet and other knowledge based mediums; and the technology of the Internet. All of the studies focus on the subcategories of information that develop from live interaction in remote worlds. I recommend this book for those searching for a sourcebook on epistemology. * Dialogical telepresence - Refers to a dialogue between two remote participants who interacted in a third place through two bodies other than their own. * Epistemology - Philosophical study of knowledge. * Field - A powerful interface for imagination, communication, and interaction between the real and the virtual. * Illusion or hallucination - The proximal experience of something which does note exist, including the experience of one's own agency. * Internet - A bi-directional medium. The great advantages are its potential to access remote objects and extends the outreach positively and negatively. * Media - Derived from the Latin word for "middle". A mediated experience in contrast to immediate experiences. * Mediated experience/agency. An object or event is experienced or acted on remotely when it is experienced or acted on by means of a set of transmitted signals other than those involved in the ordinary vision, hearing, touch, pushing, touching, or prodding. * Mediated perception - The experience of a real event or object that is not proximal; mediated agency is action on a real object from a distance. * Ordinary perception - The proximal experience of a real event or object that is in a position to casually affect the experiencer, and ordinary agency involves the first-hand manipulation of a real object that is in a position to be manipulated. * Robot - A mechanism controlled by a computer. * Teleaction - The ability to act over distance and time. * Telegarden - The Telerobotic art installation is accessed by the Internet. Users can remotely access the robot to plant seeds and water the garden. This installation is located at Ars Electronica, a museum in Austria. * Teleoperation - A form on control, a human guides and causes a device to work as a slave. * Telepresence - The immersive technology that deals with goggles, helmets and 3D projections. * Telepresence - Brenda Laurel defines it as a "medium that allows you to take your body with you into some other environment..."
* Telepresence - The ability to remotely manipulate physical reality in real time through its images. * Telepresence - The union of telematics and remote physical action. * Telepresence - Three areas of thought. * Telepresence garment - It creates a situation in which the person wearing it is not in control of what it seen, mainly because an opaque transceiver hood is worn during the experiment. * Telepistemology - Study of knowledge acquired at a distance. * Telerobots - Controlled by the Internet. Example: Distant Garden. Devices that accept instruction at distance. * Telerobotic art - Actions in a virtual space bringing changes in the real world. The juxtaposition of the virtual and the real plays an important role in telerobotics art, both aesthetically and epistemologically. Cindy Ahuna is currently a graduate student at the CADRE Laboratory.